No matter where you find information, you should carefully evaluate both the source and the information itself for authority, bias, accuracy, and relevance. There's a lot of biased, misleading, and false information floating around, which means we all have to be diligent about fact-checking...whether we're writing academic papers, sharing information in discussions, or passing along articles to our friends. Check out this video for a quick overview of source evaluation techniques. Websites: Look for sites published by credible, well-known publishers, organizations, and government agencies. If you've never heard of a site, you need to find out more about it before assuming anything on that site is true. Who wrote / published it? What are the credentials of the author or organization? Do the goals / personal opinions of the author or organization make the information unfairly biased? How long ago was the information published? Is this source appropriate for research? News vs. Fake News: There are many widely-cited "news" sites circulating stories that are misleading, one-sided, or downright false. And, keep in mind that even well-known, trusted publications (The New York Times, The Economist, network news sites, etc.) often include online content - such as blogs or user-submitted articles - that may be biased, un-checked by editors, and not subjected to the publication's typical journalistic standards. Pay attention to where on the website articles are published (main news section? blog?) and who the author is. Also, be aware of false news sites (such as abcnews.com.co) pretending to be real ones. 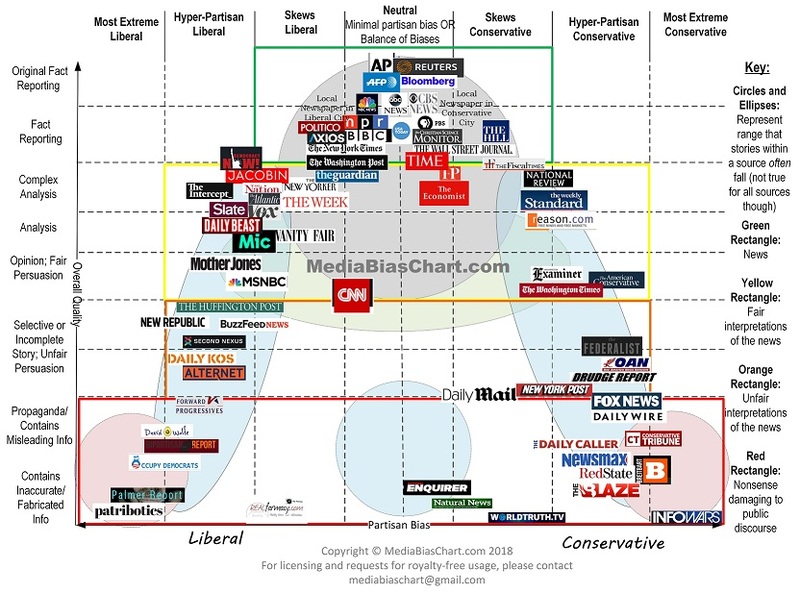 This guide, by FactCheck.org, includes a comprehensive guide to evaluating news sources. Scholarly Articles vs. "Popular" Articles: While scholarly and popular sources may both contain credible information, it's important to be able to distinguish between different types of sources, as they're written for different audiences and have different qualities. As you progress in school, you'll be expected to include more scholarly and peer-reviewed articles in your research papers. Peer-Reviewed articles are scholarly articles that have been reviewed - before publication - by other experts and researchers in the field. Trade articles are written for professionals (doctors, scientists, psychologists, teachers, etc.) working in a particular field and may include technical language. Trade journals can be found in both free online publications and in subscription services. Popular articles are written for a general audience, and are usually written by journalists and laypersons. These include news stories, general interest stories, current events, etc. and are generally reviewed by an editor working for the publication. These magazines and newspapers can be found both online and in subscription services. PolitiFact: "A fact-checking website that rates the accuracy of claims by elected officials and others who speak up in American politics." Snopes: "The definitive Internet reference source for urban legends, folklore, myths, rumors, and misinformation." FactCheck.org: "A nonpartisan, nonprofit consumer advocate for voters that aims to reduce the level of deception and confusion in U.S. politics." One way to protect yourself against misinformation is to thoroughly research a topic. Read background material so that you better understand the topic, question, or issue. Read articles from multiple sources and from multiple points of view and perspectives. The more you read about something, the less likely you are to be fooled or swayed by false, misleading, or biased information.